Kuala Lumpur: Following Uzbekistan's inclusion into the AFC U-20 Futsal Championship Central Zone, a redraw was conducted at the AFC House on Tuesday to balance the zone into two groups. 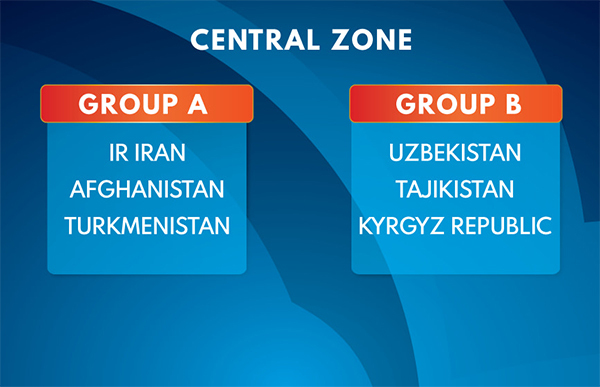 Group A will now see the 2017 champions Islamic Republic of Iran paired off with Afghanistan and Turkmenistan while Uzbekistan, Tajikistan and Kyrgyz Republic make up Group B. The Central Zone has three allocated slots, the group winners of A and B will qualify to the AFC U-20 Futsal Championship 2019 Finals and the play-off match between the runners-up of Groups A and B shall determine the third place team in the zone. The ASEAN Zone has a total of five teams - Indonesia, Malaysia, Myanmar, Thailand and Vietnam, hence a draw was not required. They will play in a league format wherein the top three teams will qualify for the Finals. Watch the redraw ceremony below.